Kim Goodsell is the embodiment of the “empowered patient,” taking control of her health and her future in many ways. 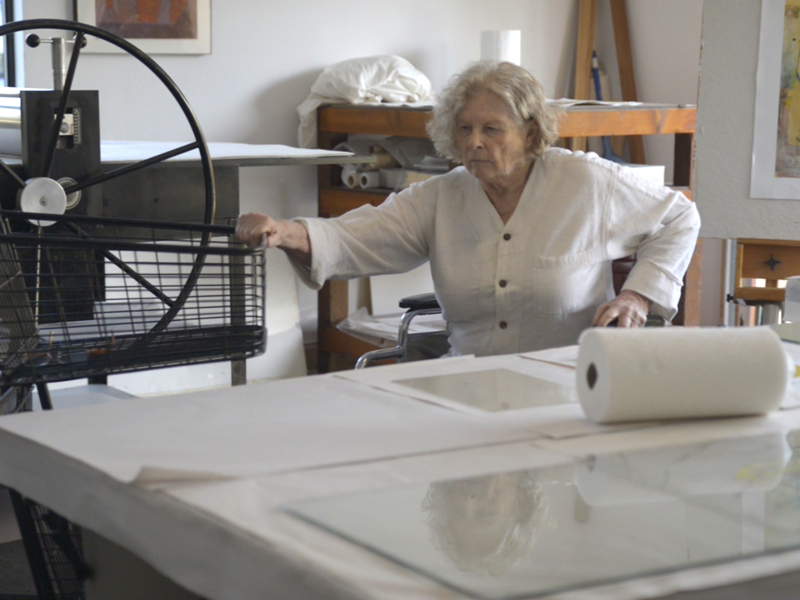 She proactively self-diagnosed her conditions at a genomic level, understands the degenerative nature of her disease and intends to meet it head-on. “We always find ways to keep moving,” says Kim, who along with her husband, CB, started their company as a way to cope with the onset of her genetic disorder. 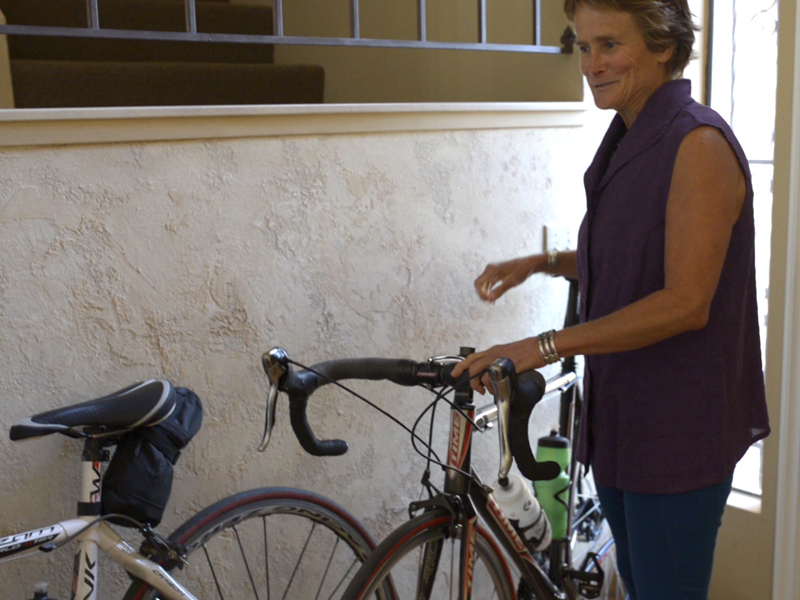 As an endurance athlete, Kim was used to cycling 50 miles a day, kite-surfing, and exploring the great outdoors. 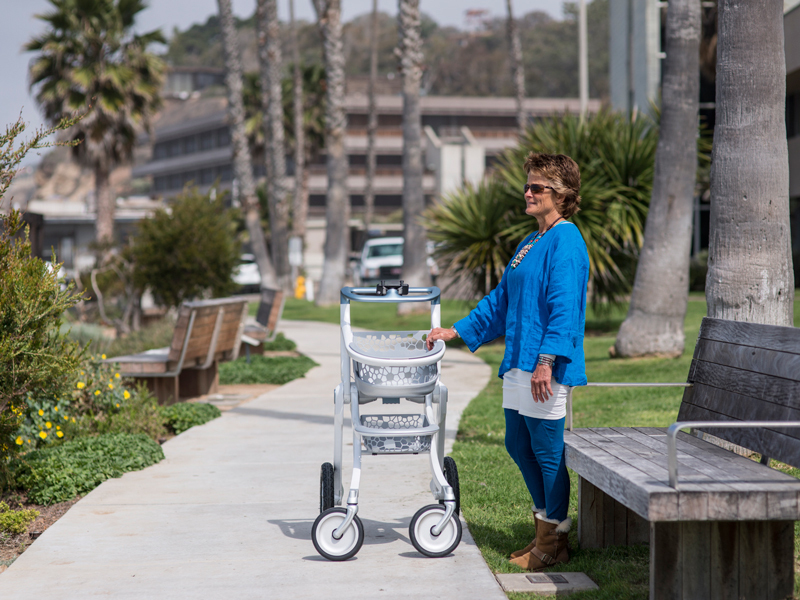 When Kim became dependent dependent upon mobility assistive equipment as a result of a degenerative condition, Kim and CB realized the universal need for a new approach to mobility assistance. 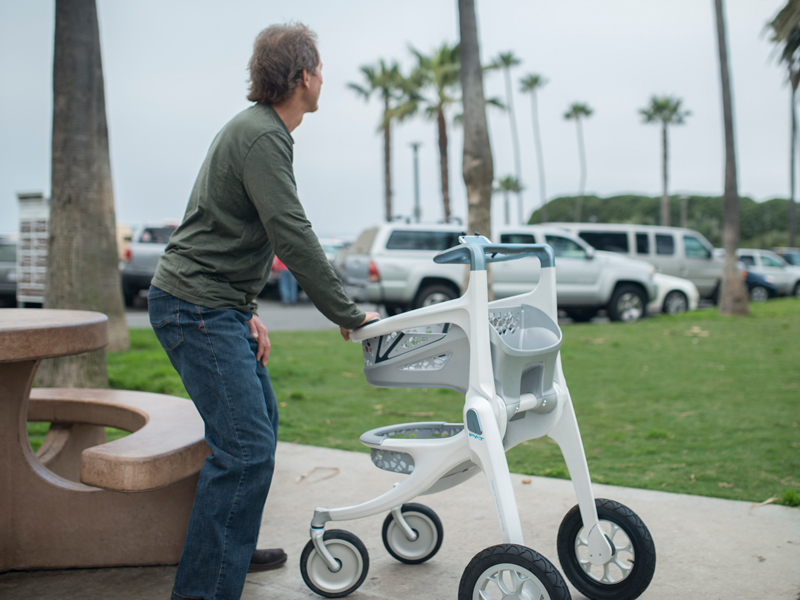 They initiated a project with DDSTUDIO to design and develop a new mobility experience: the ROVA Pedestrian Assistive Technology. 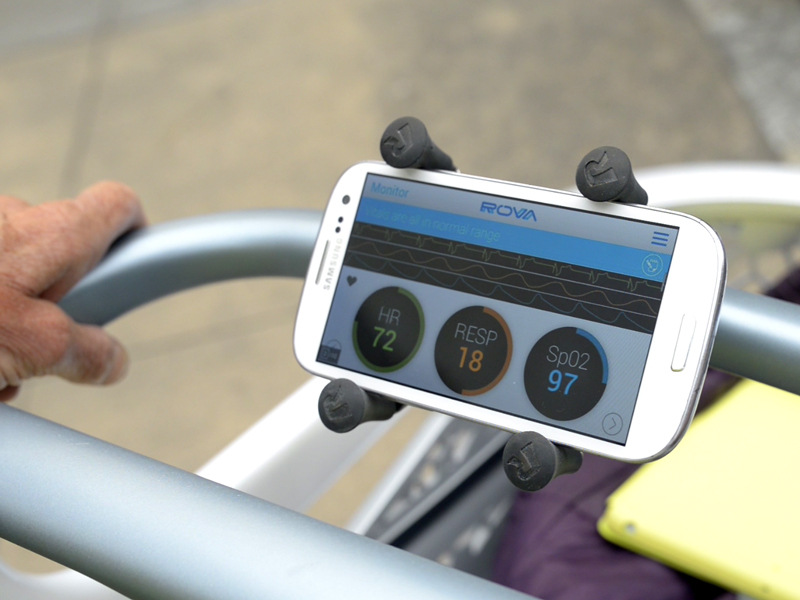 ROVA is part of the “Digital Healthcare Movement” that aims to inspire and enable people of all ages and abilities to walk. People are changing how they think about aging in place, wanting to stay active, and participate in life. They are taking control of their healthcare by demanding appropriate experiences that allow them to enjoy the freedom of an active life by providing “connected” utility and supportive mobility.. 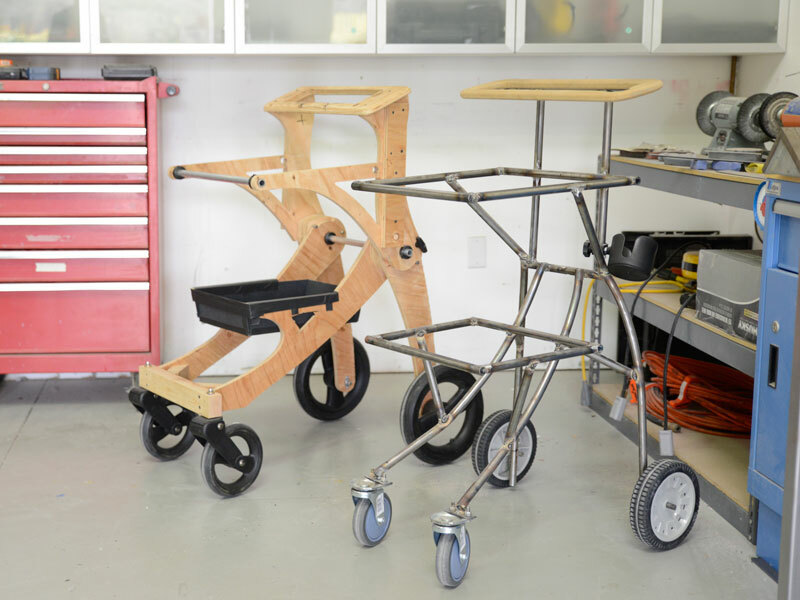 The current solution to mobility assistance is the cumbersome and inefficient walker, which further stigmatizes and hampers the lives of those in need of assistance. 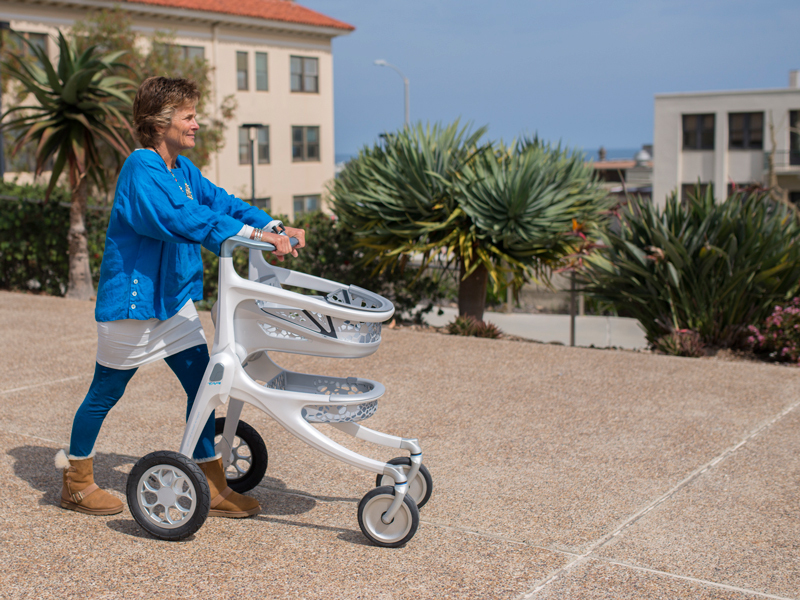 Our solution—PAT (Pedestrian Assistive Technology)—is a truly consumer oriented mobility platform, with the objective of encouraging our aging population and people with mobility challenges to enjoy an active social life. 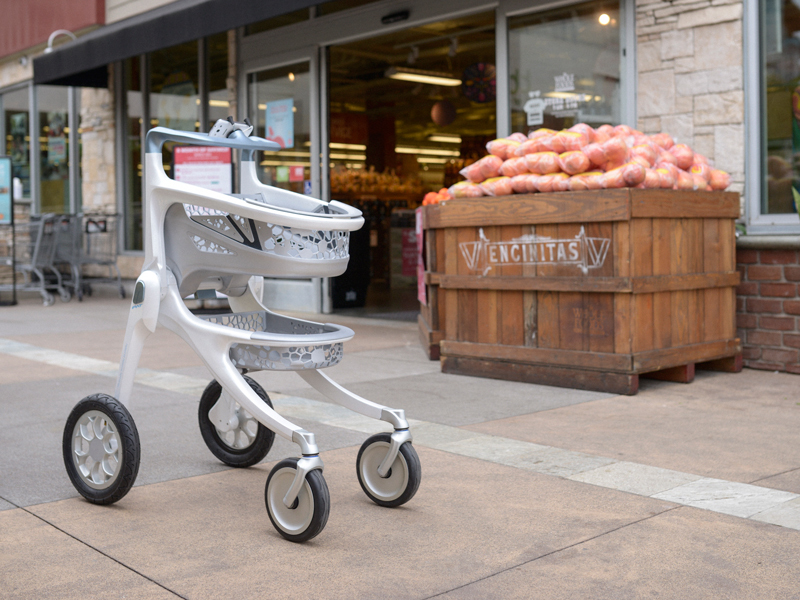 The sleek, attractive and convenient ROVA allows people to maintain their mobility, dignity and social calendar. 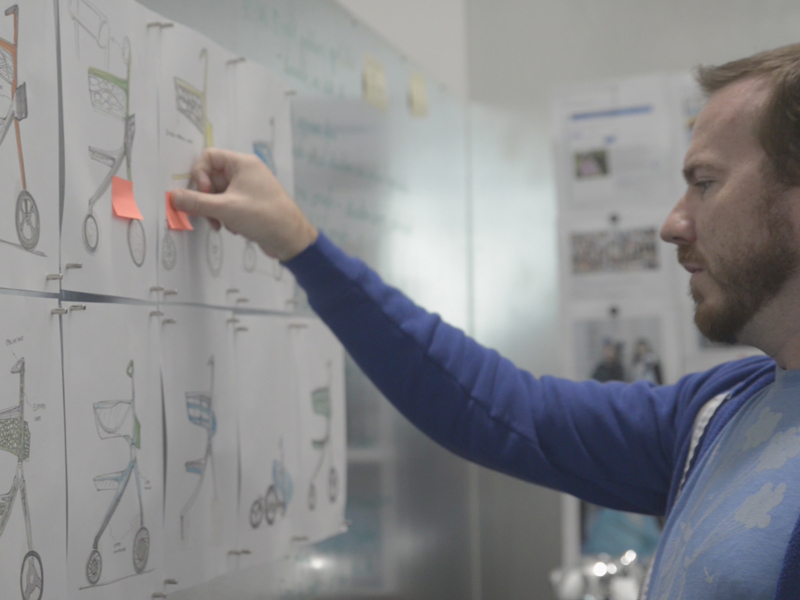 Using our experience design approach, we learn through iterations of observation and prototyping. We study the flow of the user and the environment. 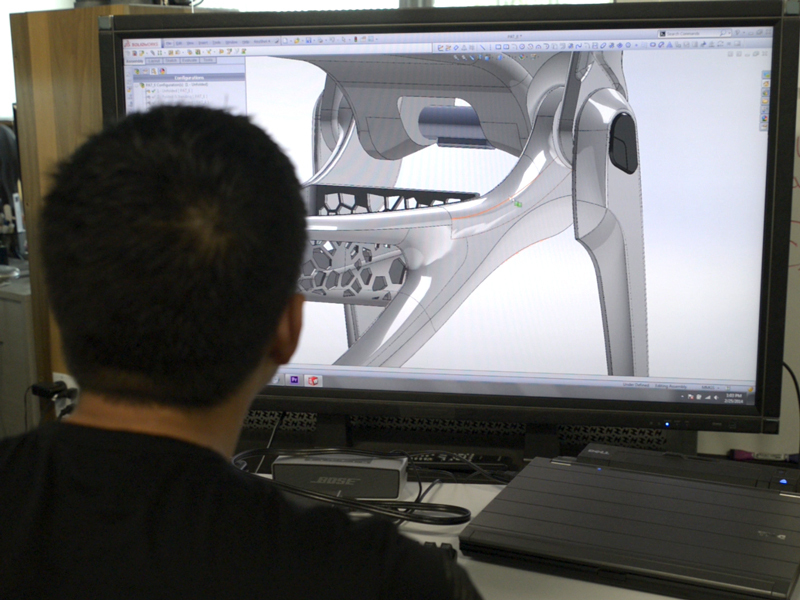 We consider all the different usage scenarios and build rapid prototypes to test out. This really helps us understand what works and what doesn’t. 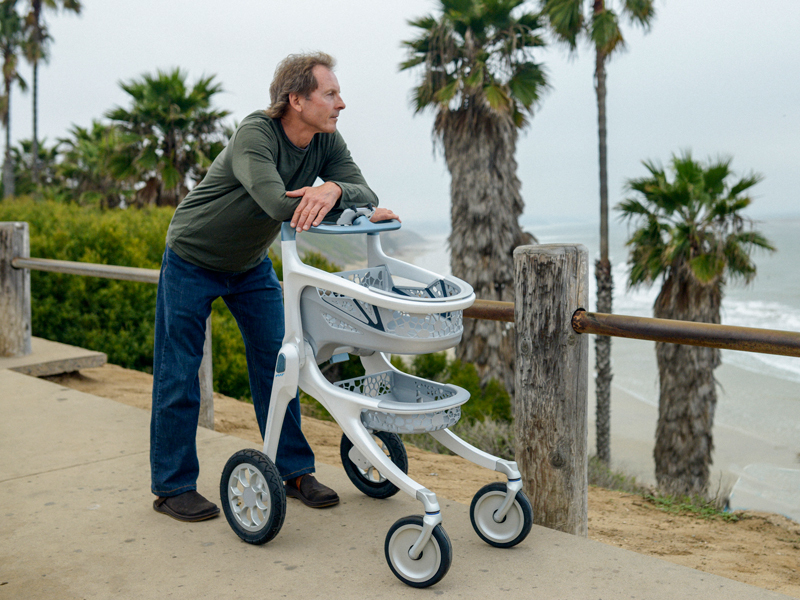 It was important that we accommodate a natural walking gait and provide support when needed. Through user testing, we discovered that people actually used more than just the handle for stability—they just grab whatever is in front of them, so it would have to be rugged. On top of that, people need to transport objects through tight spaces in the home, so carrying capacity and a compact form factor were priorities. We focused on an alternative that looked, felt and operated like Kim’s high-performance sports gear and would support all users in maintaining an independent and active social life. ROVA is comprised of the same ultra-durable light-weight carbon fiber used in high-performance bicycles with similar durability and sleek lines. It includes real-time health data through remote monitoring, a workout log that tracks vitals such as glucose levels, and real-time alerts to a physician or emergency personnel when needed. . The baskets are roomy enough to accommodate many custom needs, whether shopping, moving around the office, walking around the neighborhood or meeting friends for dinner. 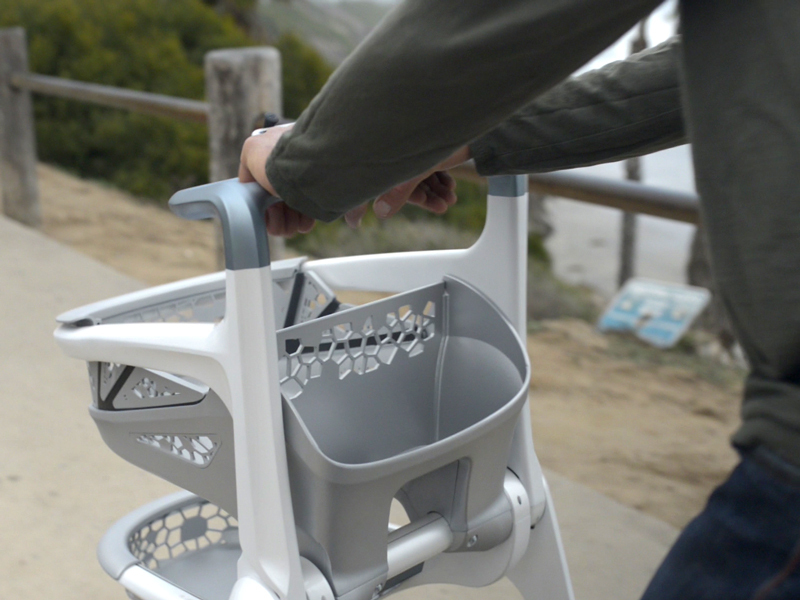 ROVA is sturdy so that a user can grab hold of any part and remain balanced, without fear of it toppling. 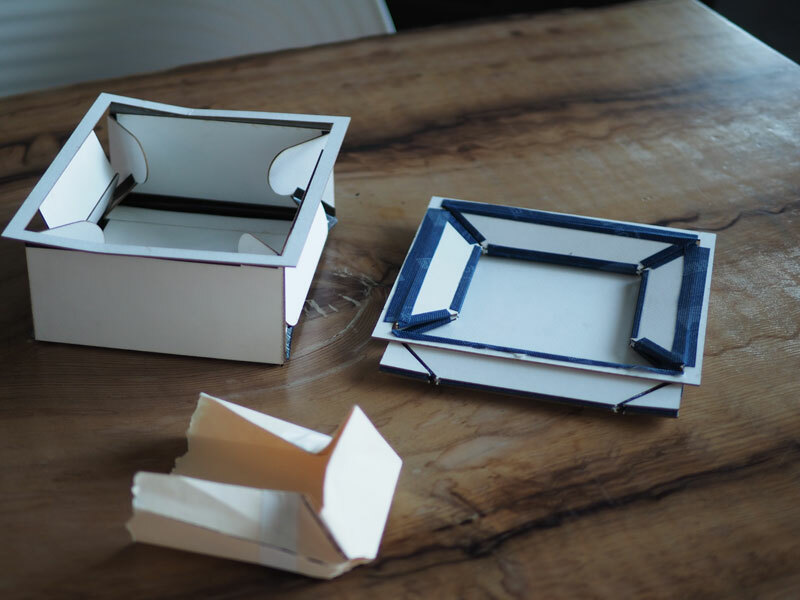 To ensure that it is easily foldable and transportable, we consulted with origami master Robert Lang in designing the basket folds. 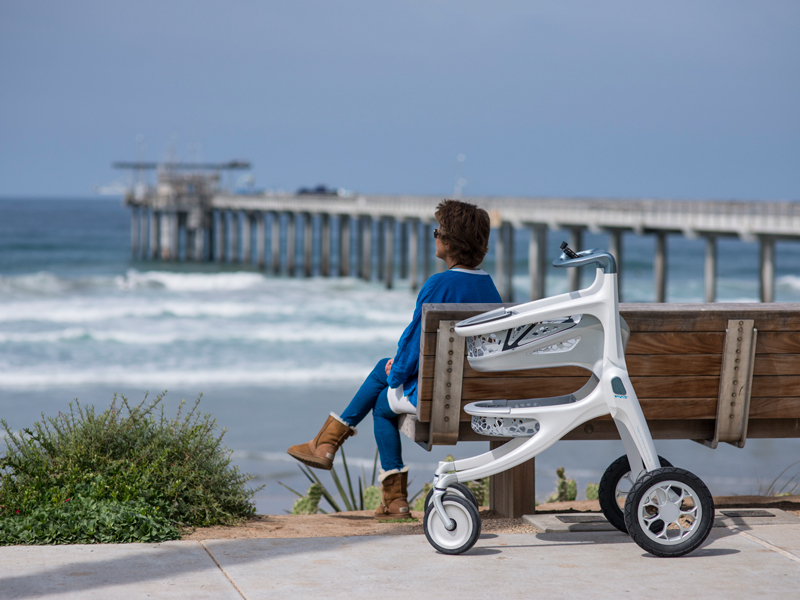 ROVA is an example of DDSTUDIO’s understanding of the connected “patient of tomorrow.” With a customizable, beautifully proportioned, lightweight frame with precision components, we can now walk like we ride. 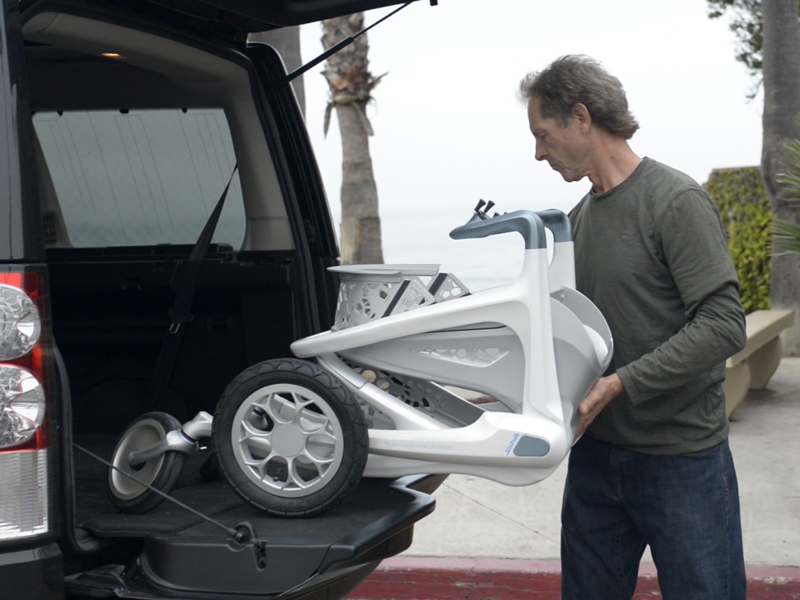 ROVA: The art of transporting ourselves, our objects, and our ideas.